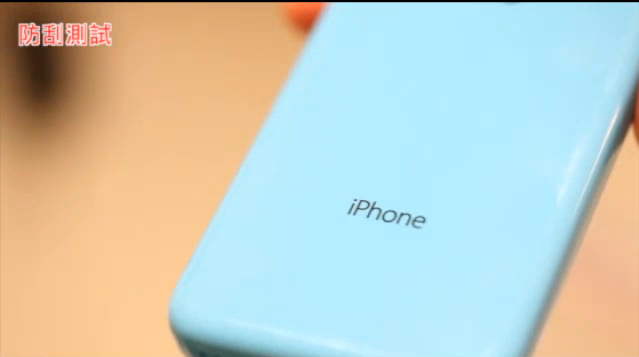 A plastic rear shell, alleged to be a production part destined for Apple's rumored low-cost "iPhone 5C," has appeared in a new video report out of Taiwan, where it was measured and even put through a scratch resistance test. The shell, procured by Taiwanese blog Apple Daily (via MacRumors), is subjected to a cursory durability test by shaking it in a plastic bag alongside coins and car keys, then forcefully scratching at the surface with the tip of a key. The shell comes out of the test mostly unscathed, a good sign for the durability of the "iPhone 5C" if the part is indeed legitimate. The report indicates that the shell sports a hardness equivalent to an "8H" grade on the pencil hardness test, the second-hardest grade given. The pencil hardness test is a standard measure of a material's scratch resistance. While it is plausible that the shell in the report could be a legitimate Apple part, there are some inconsistencies  such as the lack of regulatory markings below the "iPhone" name  that could indicate it may be a well-made fake. Schematics for the "iPhone 5C" have been circulating among the Chinese accessory manufacturers since at least early June. A purported "iPhone 5S" back plate also makes an appearance in the report, sporting a redesigned flash enclosure for the rumored dual LED flash. 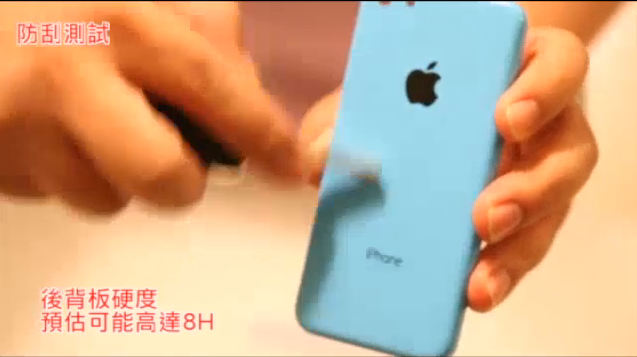 But that part features a blue back, suggesting it may not be authentic.